Terezín is a fortress built in the 18th century for defense of the Empire. 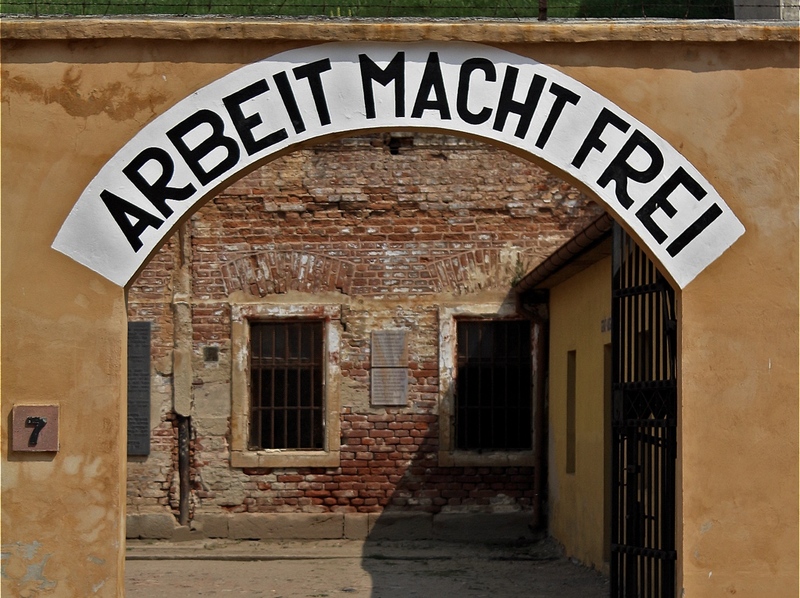 Later, however, it became infamous as the prison for Gestapo and Jewish Ghetto during the WW2. Terezín played important role for Nazis not only as a Ghetto, but also as transit and working concentration camp. Because the look and the layout of a normal city, Terezín was used as a model camp and was even presented to the Red Cross delegation in 1944. The special part of the Ghetto history are the children that lived here, played here and even took secret drawing classes here. Most of them were sent by train transports to extermination camps further East, but their drawings survived. It is something remarkably touching to see the “regular” life in the concentration camp through the eyes of children. We cannot forget what happened in the past, and we must know it is important to talk about these sad stories so we do not repeat the same mistakes in the future. It would be my pleasure to tell you some of them.